To ensure trade execution quality, one needs an accurate market volume forecast together with a predictive control methodology to implement the execution schedule without placing undue pressure on the market and to protect an order from adverse selection. While ARMA or ARIMA time-series models provide accurate daily volume forecasts in most circumstances, they can be wrong when the market is driven by unusual events and volume is higher. 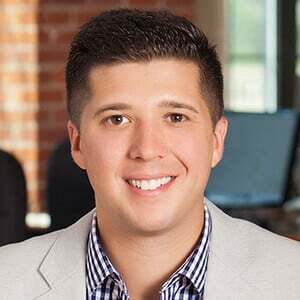 Since portfolio managers tend to trade more in such unusual circumstances, trade execution models need to be able to handle them effectively. In this white paper, Event-Aware Forecasting, Part 2: Daily Market Volume, we describe a daily volume forecasting model that combines time-series forecasting with the effect of news. The model provides a same-day forecast as soon as the opening price is known; for next-day forecasts and deeper forecasting horizons, the model derives expectations of information shocks from the options markets. 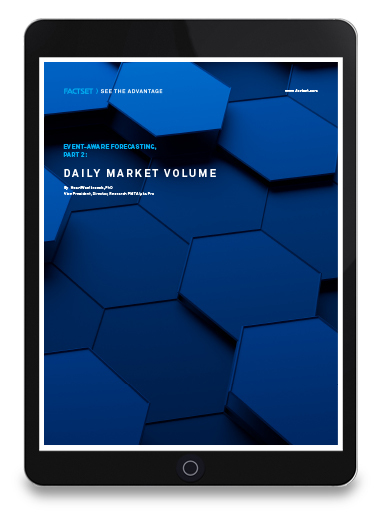 Complete the form to download your free copy of our white paper, Event-Aware Forecasting, Part 2: Daily Market Volume.